News | Want to be a part of a great team ?????? Come join our team ! We all support Johan, and he will always be a part of our team in another way, however his job is now available. 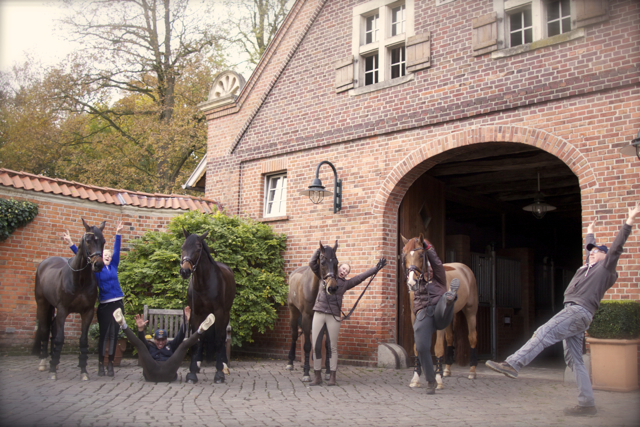 Oustanding Stables seeks a happy, motivated and team player who is passionate about horses. This person will be helping groom and maintain my top show horses alongside my Mega Groom Miss Marie. If this person fits into the team, and develops here at the stables, they could have to opportunity to assist in the warming up of some horses. Apartment and a car is provided. We have a fun loving and positive team, so hoping to find someone who can join us.